Let’s move on to other investment strategies furthermore. Regional strategy features the strategies that concentrate on various regional asset classes and strategies. As you can see the attached fact sheet, the performance of this strategy is mess. Particularly, LATAM and MENA have performed terribly bad. Basically, hedge funds invest in various asset classes in US dollar denominated. Instead, FX hedged strategies makes money for their portfolio in the local currency basis such as Euro, Swiss Francs, GBP, Japanese Yen and so on. As you know, FX hedge is often used for ordinary mutual funds that need to avoid currency risks from the asset classes invested in foreign currencies. Under the current ultra-low interest rate era, we should bear in mind that it is very hard to cover the FX loss by interest yield. Therefore, hedging to the local currencies needs to be considered when investing in different currencies. 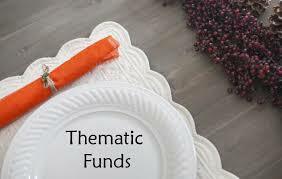 Recently, thematic funds features various global themes such as real assets, demography, IoT, global warming and so on, which the conventional asset classes have not been able to invest in. Interestingly, HFRI offers the following themes as thematic hedge funds. ①　HFRI Credit Index：Combination of seven credit strategies. ③　HFRI Women Index：Hedge funds managed by women that has more than 1-year track record with more than USD 50 million asset under management. It is quite interesting to see how many indexes there are in the world of hedge funds. Check it out! !